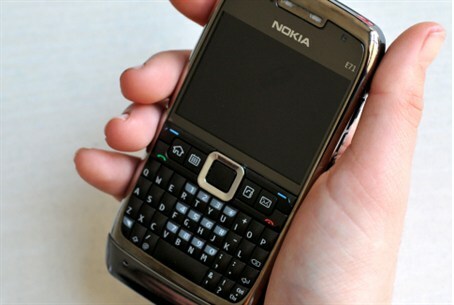 Arutz Sheva journalists among hundreds of Israelis sent SMS messages containing threats of violence, kidnapping. Hundreds of Israelis, including many journalists, have been threatened - allegedly by Hamas - in the past several hours via text messages. Among other things, the messages include warnings that Hamas is going to conquer Israel, and has threatened to shoot more rockets and kidnap civilians. The text messages are appearing from private or blocked numbers from Palestinian Arab area codes, according to witness reports, as well as from reportedly false numbers from Israeli companies. Some of the text messages are the result of a cyber-attack on the IsraelDefense website, which exposed the cell phone numbers and email addresses of hundreds of registered users who received the messages. Arutz Sheva journalists have been sent photos of Ismail Ahmed Yassin, the Hamas founder who was eliminated by the IDF in 2004. "Ten years ago, Ismail Ahmed Yassin, our leader, was killed by three missiles as he left a mosque after morning prayers," a caption below the photo reads. "This is a reminder that we do not forget our Sheikh's blood on your hands. We vow once again that we will take revenge, and cut off the heads of your commanders." "Missiles killed our Sheikh and now, our missiles will hit every place in the State of Israel," it continues. "Know that the next war will see the end of your country." The threat surfaces hours after an IDF raid on a known Hamas terrorist hideout in Jenin led to the death of Hamza Abu Alheja, 20, a member of the Hamas military wing, the Ezzedine al-Qassam Brigades. An Islamic Jihad terrorist and a Palestinian Arab civilian from the Palestinian Authority (PA) were also killed in the clashes, which erupted after Jenin residents rioted at IDF soldiers. In response, the PA, Islamic Jihad, and Hamas have issued statements showing a rare solidarity in exacting revenge upon Israel. "The United States and Israel want to force the Palestinians and the entire region to surrender, but Gaza and the West Bank resist this," senior Islamic Jihad official Nafez Azzam said. The terror group called for a demonstration in the northern Gaza town Beit Lahiya later Saturday to condemn the Jenin killings and "support resistance." A spokesman for PA Chairman Mahmoud Abbas condemned the "continuing escalation against the Palestinian people", for which he blamed Israel. The IDF also uncovered a crucial Hamas terror tunnel late Thursday, which experts say shows signs of being highly advanced and having recently been used. Hamas scoffed at the reports, calling them "false achievements."